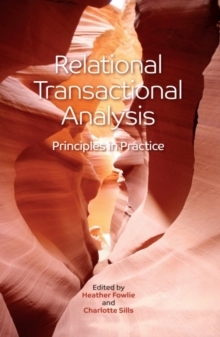 'Through different voices and styles of contributions, including papers, edited talks and panel discussion, this collection explores and applies the principles of relational transactional analysis. It sets them in social, cultural and political contexts, and considers a number of important implications of this particular relational turn in psychotherapy. The book advances relational transactional analyses and, in doing so, reflects the creativity and vibrancy of contemporary TA. The editors have skilfully brought together different generations of TA practitioners in an accessible and stimulating volume. I commend the editors and highly recommend the book. '- Dr Keith Tudor, author of a number of books and co-author of the article "Co-creative transactional analysis" in the Transactional Analysis Journal. He is Associate Professor, Auckland University of Technology, Auckland, Aotearoa, New Zealand.